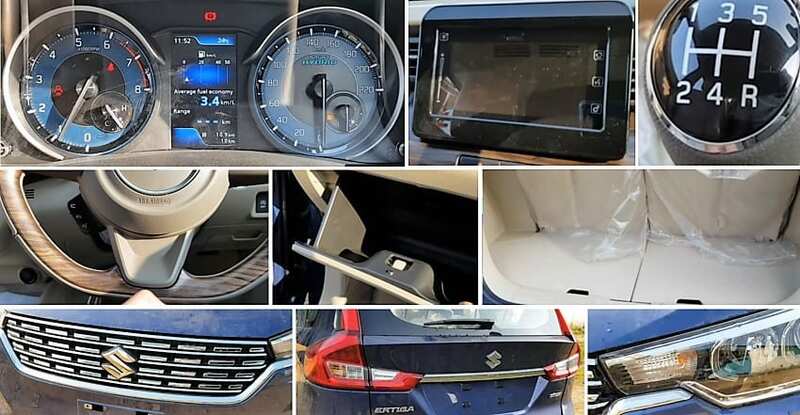 Ahead of the official launch, the all-new Maruti Ertiga has been completely revealed through the walkaround video by AutoNomous India. The car is seen here in the premium blue shade, with this being the ZXi+ variant with 8,000 rpm limit on the console. Maruti now mentions the Ertiga and SHVS moniker on the boot only, leaving the engine guessing to the console or the area under the bonnet. The colored MID, blue dials, beige interior finish, and premium wood, as well as dark brown inserts, create a segment-first feeling once a person enters the car. The only factor that looks odd is the black air vent section, intentionally left in that shade to create a contrast between different layers of the dashboard. The wooden layer between the black and beige looks very premium while the same can be seen running through the front doors. The infotainment system stands loud and clear in a black housing while automatic temperature control sits within the beige section with partial black and beige finish. The door handles are chrome finished, both on the inside and outside. The central section is quite practical, with cup holders getting cooling or heating function and sliding armrest with storage space. 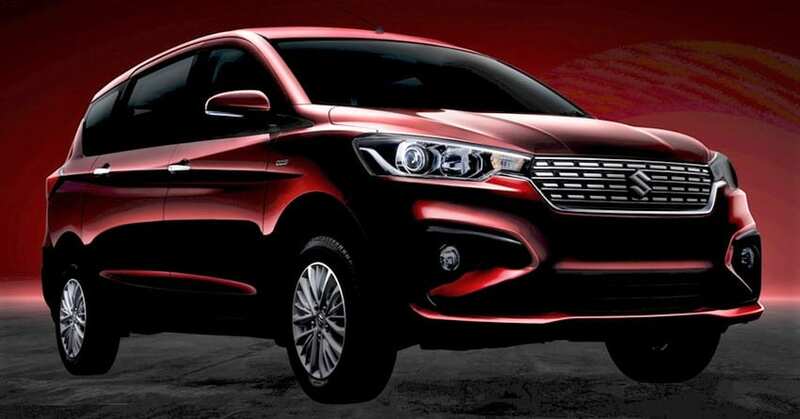 On the exterior, the use of chrome is praiseworthy, especially within the front grill. The alloy wheels are standard finished, looking perfect for the size of this car and its usage as an MPV. The rear seat comes with recline and slide function, allowing entry into the third row from both sides. The adjustments help buyers get enough space for the third row as a slight forward movement of the second row helps an average-built passenger get enough leg space to save the knees. Even after the third row, the new Ertiga comes with a decent amount of boot space. The rear seat vents are located on the roof with three different setting for the air flow.